Despite encountering large numbers of bulls and having to change clothes in the middle of a field, Space Group staff completed an all-day triathlon to raise money for Allsorts, and they still found the energy for a game of skittles afterwards. 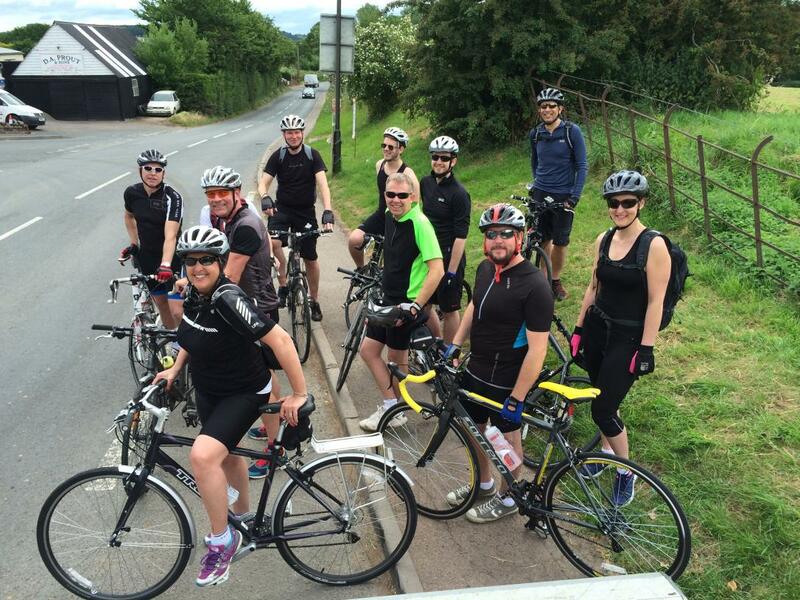 Space Group, based in Barnwood, asked its staff to take part in any of the three segments of its Longest Day challenge or get involved with supporting the participants. The team started in Dymock at 8am with a 10k off-road walk through the Cotswolds, before a 50k bike ride, and a 19k paddle down the River Wye in two-man boats. The money is still rolling in from sponsors but stands at £2,800 and once collected it will go to help Stroud-based Allsorts support families across Gloucestershire who have children with disabilities and additional needs by providing youth clubs, family trips, inclusive sports, specialist equipment and much more. “There were a few interesting moments on the walk, one of which was finding ourselves caught in the middle of a field full of bullocks, not a position you find yourself in on a daily basis,” said Danny Daniels, PA to CEO Mike Mellor. 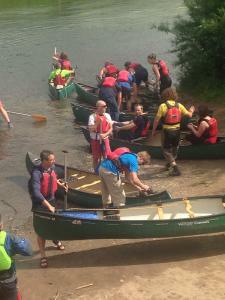 The cyclists then met canoeing colleagues and took to the water. “The following few hours paddling down the River Wye was a great way to finish the challenge,” Ms Daniels said. “The scenery along the way was breath-taking and everyone thoroughly enjoyed themselves although there were a few sore shoulders afterwards. The group ended their day with a barbecue at The Royal Oak in Prestbury.